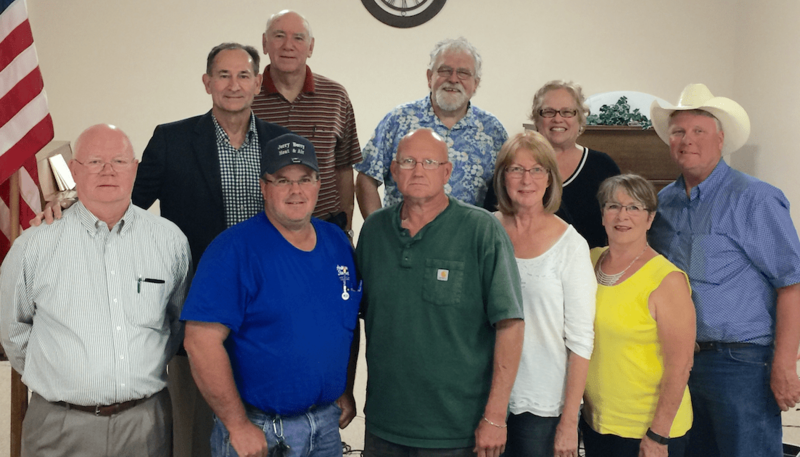 Following the call to order for the May 23, 2016 meeting of the Linden City Council, Linden Heritage Foundation President Sam Higdon spoke under the Public Comment section of the Agenda. He thanked members of the the Council and others who have supported submission of an applicant to the 2017 Texas Main Street Program and brought about the consensus needed to proceed. Two Resolutions were on the Special Agenda proposed by City Administrator, Bob Swisher. Mayor Burns read Resolution 3-16 which provides funding for the Texas Main Street Program and proposes that 33% of the City’s subsidy of staff expenses for the Linden Economic Development Corporation (LEDC) be withdrawn at the end of the current fiscal year. Ms. Lazara moved for adoption and Ms. Halleck seconded the motion. Mr. Hamilton asked that it be made clear that the funding to be withdrawal from LEDC would not occur until October 1, 2016. This intent was confirmed and the motion passed unanimously. The Mayor then read Resolution 4-16 which provides authorization by the Council which is required by the Texas Historical Commission as part of the application. Mr. Hamilton moved for adoption of the Resolution and Ms. Lazara seconded. It passed unanimously without discussion. The meeting was adjourned; and members of Linden Heritage Foundation, Linden City Council, and Linden Economic Development Corporation gathered for a photograph to document this important step in the revitalization of Linden.